Year after year, white remains the most popular choice of color for the kitchen. Whatever style of decor you choose, a white dining room set continues to remain a timeless classic. The appeal is easy to see since it opens up a room and complements every style. In a small kitchen, white helps to give the illusion of more space.For a traditional look, try pairing a white dining room set with wood flooring to warm up the room. For a more contemporary feel go with a white on white, monochromatic kitchen with chrome hardware or accents. A white dining room set fits perfectly in a cottage design. Perhaps add some open shelving and chintz curtains for a cozy feel. Or if you pair a white dining room set with some fun accents, like turquoise dishes, malt glasses and old-fashioned chrome faucets you can even rock a 50’s vibe. Whether your style is cottage, traditional, contemporary or art deco, white dining room sets are far from boring. Many small home owners and urban apartment dwellers long for an inviting kitchen where family and friends can meet to visit and prepare food, followed by gathering around the dining table to share a meal. While most of today’s smaller living spaces lack the traditional dining room and table, multi functioning furniture makes it possible to do more with less. You can begin creating your own hyper functional kitchen and dining space using transforming or expanding dining tables. 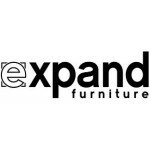 Expand Furniture offers a wide variety of multifunctional white dining room sets. 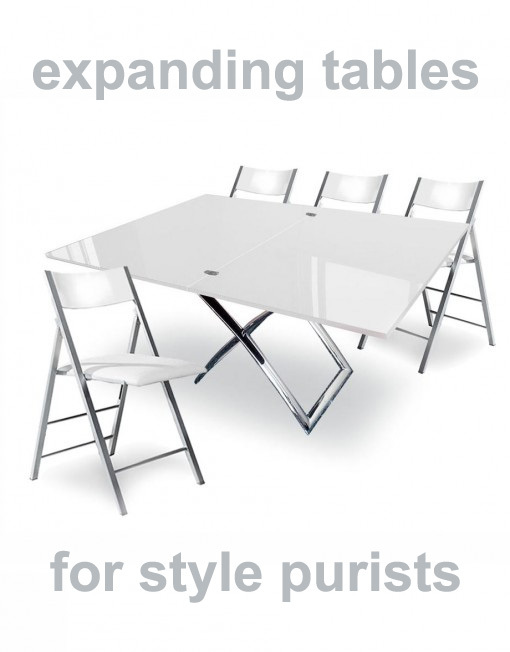 Our Expandable Box Coffee to Dining Table Set includes eight Nano chairs and can be purchased in a glossy white finish. This attractive, low profile coffee table easily lifts and extends into a full size dining table that seats 8 to 10 people. The eight Nano chairs included with the set feature a padded seat and curved back rest. These are the slimmest, most stylish compact folding chairs on the market today, making them easy to stash in a closet or cupboard. The Expandable Box Coffee to Dining Table Set comes fully assembled and ready to use straight out of the box. The Expand modern dining set is bound to become a classic in its own right. As an overachiever in terms of transformation it can be lowered and used as a coffee table, used in compact mode to save space and unfolded to seat up to 8 people. 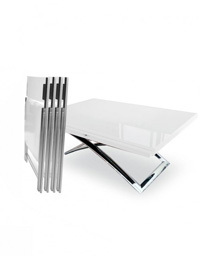 It comes with 4 Nano chairs and the stunning chrome legs of the chair make it a visual focal point, but also allow the table to be lowered to coffee table height up to regular height, and everything height in between. 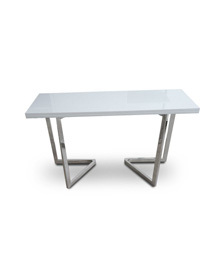 The beautiful glossy white finish combined with the shiny chrome makes this table beauty timeless and understated at the same time. The Flip – Console to Table is one of the most economical and practical tables available. It starts out as a small desk or console table that will fit in any nook or corner, but flip it open and it doubles in size, able to seat four with ease or six when necessary. 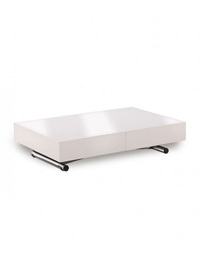 Available in a white gloss finish, it adds a minimalist, contemporary flair to any area. The Junior Giant Extending Table Set with 8 Chairs is one of our largest extendable tables, though you would never guess that from the site of the compact console that makes itself at home anywhere. Whether used as a console near the entryway or a convenient desk tucked away under the stairs, it will be an attractive addition to any room. The Junior Giant Extending Table comes complete with eight Nano chairs or eight Pendulum chairs. The Nano chairs provide a padded seat and contoured back, while the sleek, angular Pendulum chairs bring an even more contemporary look. The Junior Giant Extending Table is offered in a glossy white finish and expands into that white dining room set you have always wished you had the room for. 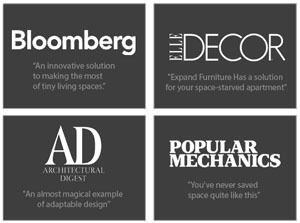 As space becomes more of an issue in our homes, multifunctional and storage furniture becomes more necessary. In most homes, floor space is at a premium, so why take it up with a full size dining room table that no one uses on a daily basis? Free up that space for other needs by using a transforming dining room table that expands only when you need it. 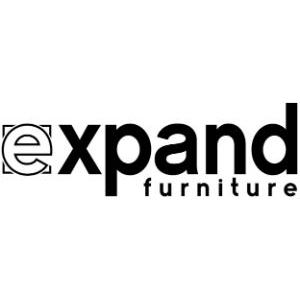 At Expand Furniture we take pride in the quality and ingenuity engineered in our furniture. Our coffee to dining tables use a gas mechanism in order to easily adjust the height exactly where you want. 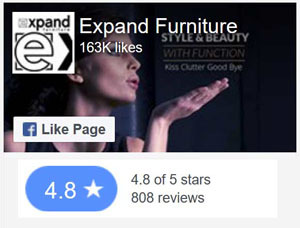 We offer an extended 500 day warranty on these mechanics in order to ensure customer satisfaction. Contact us to learn more about our products.